In the latest release of Microsoft Windows Azure many new features were added, and there were some slight changes in terminology. 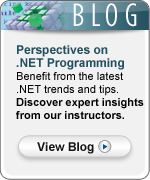 In this series of articles, I’ll cover some of the basics for getting started with Windows Azure. In this article, I’ll review how to set up a Windows Azure account, get a subscription and add users to manage those subscriptions. The first thing to do to use Windows Azure is go to its home page at http://www.microsoft.com/windowsazure/. There, you can find lots of information, case studies, help, and links to resources. The page is show below. Before you can create your first Azure program, you need what is called a Subscription. To purchase one, click on the “Sign up now” button on the Windows Azure home page. This will take you to the Subscriptions page where you can choose a plan appropriate to you. If you’ve never used Azure before, choose the introductory special and you’ll get some compute hours for free. Otherwise, you’ll have to pick one of the programs. If you pick “Consumption”, you will only be charged for usage. This means you can experiment with Azure and it won’t cost you anything, unless you deploy something to the cloud. Just don’t forget to delete what you deploy when you’re done with your testing! There are also a number of deals for MSDN subscribers and Partners, and also some discounted rates if you commit to a monthly fee. It’s all very confusing, see this link, http://www.microsoft.com/windowsazure/offers/popup/popup.aspx?lang=en&locale=en-US&offer=MS-AZR-0001P. As a part of checking out, you’ll need to create a Windows Live ID and supply a credit card. You will also use this ID when logging into the Windows Azure Management Portal. To log onto the portal, go to https://windows.azure.com/. If you do not have Silverlight installed, you will be prompted to do so. When you get to the portal, click the button on the left side labeled “Hosted Services, Storage, Accounts and CDN”. You should see that you have at least one subscription. See the picture below. When I first wrote the Learning Tree Azure course only one user account was supported per Azure subscription. This was not ideal because there are multiple instructors teaching the course. My way around this was to tell every instructor they had to use their own Azure subscription when teaching the course. With the new release of the Azure Management Portal, it is now possible to add multiple administrator accounts to a single subscription. To add users, click on the “User Management” link on the left side of the portal. Then click on the “Add New Co-Admin” button at the top left. Each user simply needs a Windows Live ID to log onto the portal. They will be able to deploy and configure applications within that subscription. In the first part of this article I reviewed some of the main features of Microsoft Windows Live. I wrote that article using the Microsoft Word Web app on my Mac. Now, I want to review some of the main features of Google Apps. This time, I’ll use Google Docs on my PC. Google Apps consists of many different online applications that make up a complete computing platform. Gmail is the most widely known, but there are also Google Docs, Calendar, Sites, Reader, and many more applications. 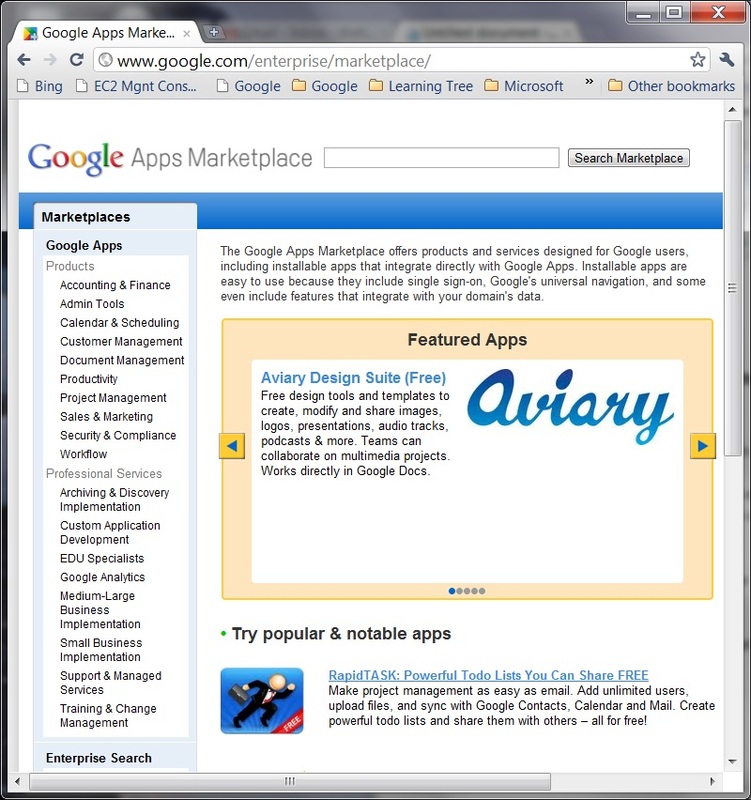 There is in fact a Google Apps Marketplace where third-party vendors offer applications that are built on top of Google’s platform. You might like to explore this link: http://www.google.com/enterprise/marketplace/. Below is a screenshot of the Marketplace. It is like the iPhone App store, but for the Google cloud. Google Docs allows you to create documents, spreadsheets, presentations, survey forms and drawings. Writing a document using Google Docs is easy. It has all the formatting tools you would expect. It automatically saves your work. Adding images, hyperlinks, tables, lists etc all work just as you’d expect. Google uses their own file formats, but you can convert documents from Microsoft Office formats if you need to. You can also share documents easily if you are collaborating with your team. My concern with moving to Google Docs would be whether it would work for users all the time. I did a little testing with some things I commonly use. For example, I tried converting the Excel spreadsheet I use to submit invoices to Learning Tree to Google docs format. It did work, but the formatting was a bit off. I also opened the Learning Tree exercise manual template in Google Docs, and that did not work at all. To be fair, it is a very complex template and I would have been shocked if worked. As general purpose word processor and spreadsheet builder, Google Docs is great. I would only worry that I’d end up buying Microsoft Office for everyone anyway. For me the great thing about Gmail is how easy it is to integrate into your domain. Why anyone would want to run a mail server is beyond me when Google and many others are willing to manage mail for next to nothing. In addition, Google makes it simple to integrate your domain into all their applications. Not only can you have email addresses like youname@yoursite.com, you can map Google Docs to docs.yoursite.com and Google Sites to sites.yoursite.com and so on. One of the big features of Microsoft SharePoint is the ability to create Web sites for projects, teams and collaboration. Google Sites allows you to do the same. There are built-in templates for making this easy. You can control who has access to you sites. It integrates into Google Docs and the other Google Apps. Check it out at http://sites.google.com. In summary, I really like Google Apps and I also like Microsoft Windows Live. Both are affordable, and make computing easier, more accessible and add great new features. You should do your own analysis on which would work better for you and your organization. The competition between the two will certainly benefit us all. If you want to learn more about cloud computing, come to one of Learning Tree’s cloud computing courses. We cover not only Google Apps and Windows Live, but also Amazon EC2, Google App Engine, Microsoft Windows Azure and more. Chris Czarnecki’s article, Microsoft and Google Compete in the Cloud, inspired me to write this blog as I have been researching Google Apps and Windows Live for a while now and using bits and pieces of each. I’m going to write this article in two parts. In the first, I’ll review the features of Microsoft Windows Live and in the second I’ll describe the features of Google Apps. 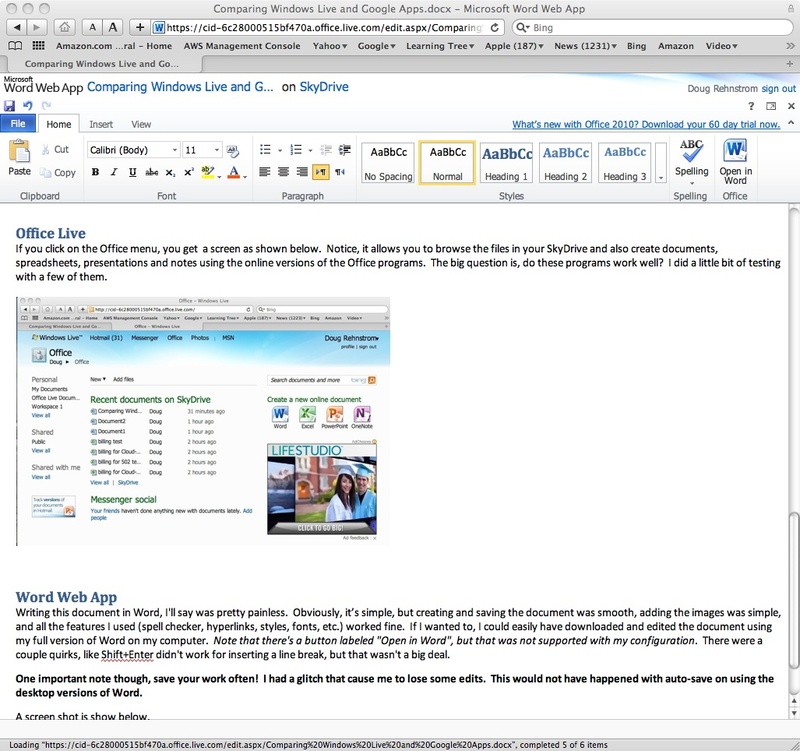 As a test, I’ll use the Microsoft Word Web App using the Safari browser on my Mac to write the first part. I’ll write the second, using Google Docs from my PC using Internet Explorer 9. 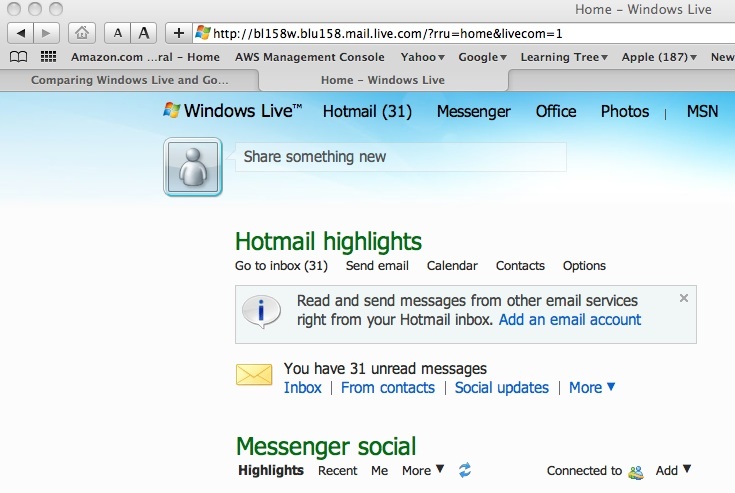 The Windows Live home screen appears as shown below. You can create an account for free, or use your existing Hotmail or MSN account. 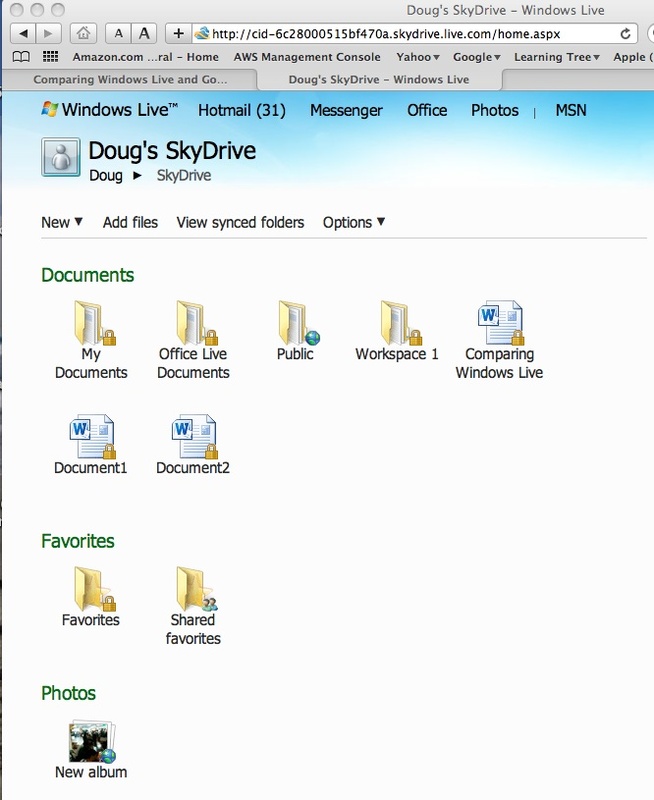 From the Windows Live menu, you can select SkyDrive. This will open a view of all the files you have in the Windows Live cloud. You can synchronize local computers with the SkyDrive. This uses a program called Windows Live Mesh that can be installed on your PC or Mac. Files can be kept private, but also shared with friends or colleagues. With SkyDrive you get 25Gb of storage for free. The UI is shown below. If you click on the Office menu, you get a screen as shown below. Notice, it allows you to browse the files in your SkyDrive and also create documents, spreadsheets, presentations and notes using the online versions of the Office programs. The big question is, do these programs work well? I did a bit of testing to help answer that. Writing this document in Word, was pretty painless. I know the document is not complex, still creating and saving it was smooth, adding the images was simple, and all the features I used (spell checker, hyperlinks, styles, fonts, etc.) worked fine. I could have easily downloaded and edited the document using my full version of Word. There were a couple quirks, like Shift+Enter didn’t work for inserting a line break. There is also no zoom-in feature. One important note, save your work often! I had a glitch that caused me to lose some edits. This would not have happened with auto-save on using the desktop versions of Word. A screen shot is show below. To test Excel I uploaded a spreadsheet that I use to submit invoices to Learning Tree. Initially, I got an error message complaining about unsupported features (apparently, there are a lot of those) and I was forced to re-save the spreadsheet before I could edit it. Afterward, it seemed to work fine though. The missing feature this time was zoom-out, as I couldn’t view the entire spreadsheet at once. I could use this version of Excel without much trouble. 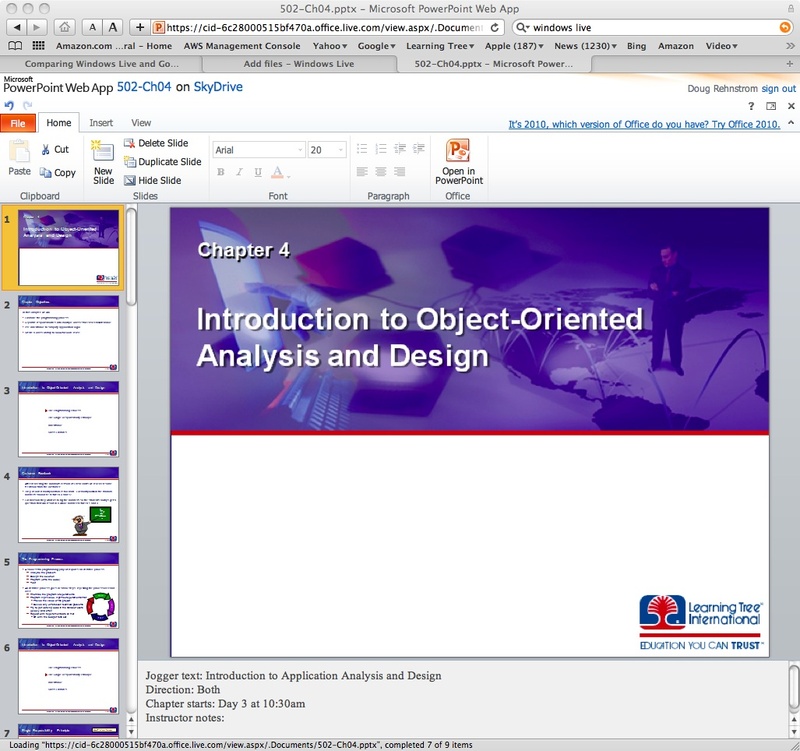 To test PowerPoint I uploaded one of my Learning Tree courses. Other than it being a little slower switching between slides, both editing and viewing the presentation was just like the full version of PowerPoint. I’ll definitely upload all my courses to SkyDrive. Imagine how efficient it would be to find a typo in a slide during a class and fix it immediately from any computer. A screen shot is below. 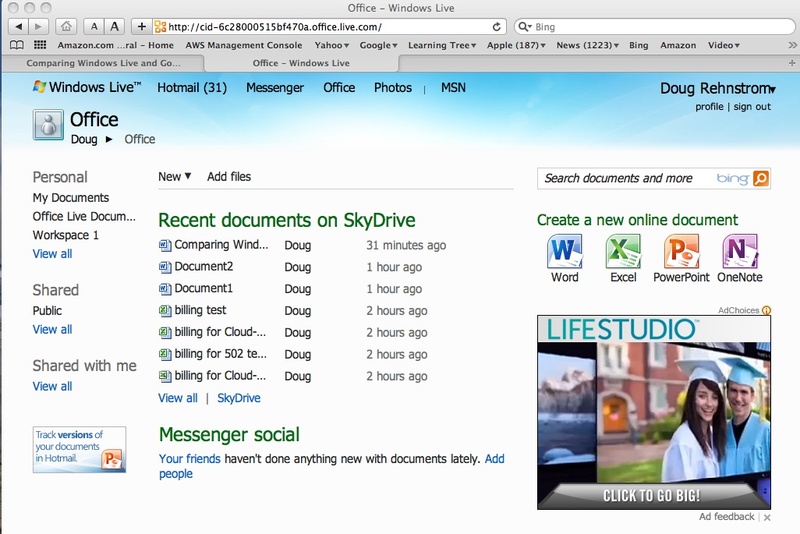 If you are using Office already and want to take advantage of the cloud for storage, backups, file sharing and online document creation, definitely explore Windows Live. It’s free and there are quite a few other features beyond to scope of this article. If you want to learn more about cloud computing, come to one of Learning Tree’s cloud computing courses.